- Select your language in the dropdown. 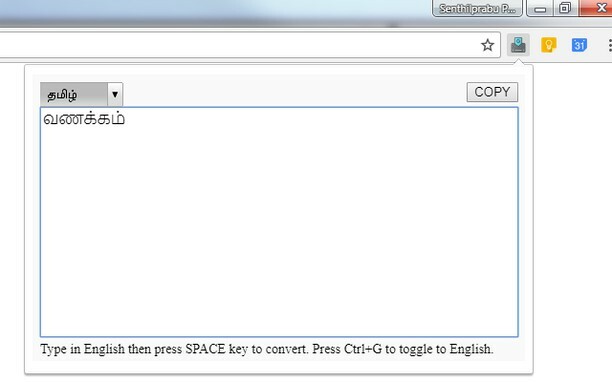 - Start typing in English in the given textbox. - Press SPACE Key to transliterate the typed word. - If you want to type any English word use the shortcut key Ctrl+G. 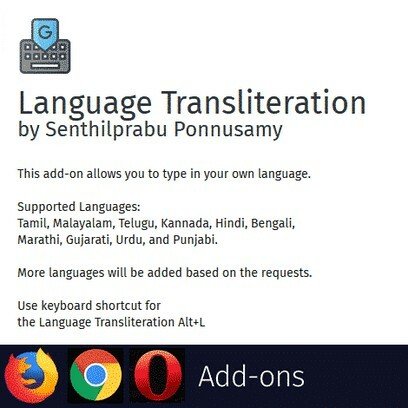 - Using Ctrl+G again will toggle the transliteration again. 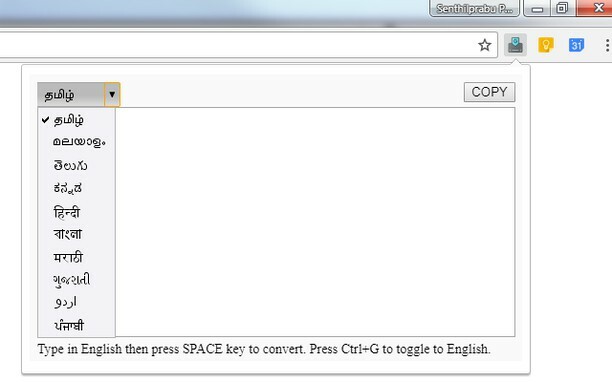 - Press the COPY button to copy the text into your clipboard. - More languages will be added based on the requests.